Middle-class Mexicans and Americans living in Tijuana are buying legal pot in California and taking it back to Mexico. The culture of legalization, slowly but surely, may be spreading south of the border now, too. Lee este artículo en español aquí. California’s legal weed experiment is having an impact in an unexpected place: Mexico. Cannabis culture and advocacy from California is making its way south of the border and activists there are hopeful legalization here can shift Mexico’s politics. Middle-class Mexicans and American citizens living in Tijuana are crossing into San Diego to visit medical — and now recreational — dispensaries. Binational cannabis advocates are hosting events in Tijuana about the medical benefits of cannabis, hoping to increase support for policy changes on the drug. Meanwhile, the Mexican government has taken small steps towards loosening federal laws for medicinal cannabis use. That also has happened with the help of California. Currently, Poway-based Medical Marijuana, Inc. is the only company from which Mexicans can get legal permits to import cannabidiol or CBD products with a doctor’s prescription. In 2016, it started a Mexican subsidiary, HempMeds Mexico, to lobby for broader medical marijuana regulations in the country. And Southwest Patient Group, just blocks from the San Ysidro Port of Entry, sees many clients from Mexico, said Alex Scherer, the dispensary’s owner. Scherer said he’s seen a surge of customers from the border area. Pablo Guzman, a cannabis consultant who works at the dispensary, said of the roughly 200 customers per day Southwest Patient Group sees, roughly 15 to 20 of them are from Mexico. Scherer said he and his employees always advise Mexican customers to consume their purchases in the United States because it’s illegal to take the products back. But since California legalized medical marijuana roughly 20 years ago, Mexicans and American citizens living in Mexico have been bringing California cannabis across the border to consume and sometimes sell in Mexico. Jaime Andres Vinasco Barco, a PhD student at El Colegio de la Frontera Norte in Tijuana, has been studying the cross-border cannabis phenomenon for the past few years. Vinasco said there’s a specific type of consumer in Tijuana who seeks California pot. They tend to be economically well-off, both because they need to cross the border with ease — easier for a U.S. citizen or a visa holder — and they need to be able pay more. Vinasco said they’re typically sophisticated consumers who can discern between products based on percentages of Tetrahydrocannabinol or CBD, and want to know where the product came from. Beto, a Mexican-American living in Tijuana — who asked that we don’t use his real name because it is not legal to bring marijuana into Mexico from California in this way — said he has been bringing California cannabis into Mexico for personal consumption for four to five years. He had a medical marijuana card prior to recreational legalization. He doesn’t deal it in Mexico; he brings it back for personal use, and sometimes as a favor for friends. Beto said it’s easy to bring cannabis to Mexico, particularly by car, because cars crossing southbound aren’t stopped very often. He also said Mexican authorities aren’t looking for edibles or oils. “Everyone is still looking for the typical joint,” he said. There are multiple reasons Beto said he prefers to get his marijuana products from California rather than Mexico. When he talks about karma, he’s referring to the decades of bloodshed illicit drug production and drug cartels have caused in Mexico. Vinasco found this was a common motivation for cross-border pot consumers. They want marijuana sin sangre — bloodless. Since 2007, more than an estimated 200,000 people in Mexico have been killed in the country’s drug war. But even that number is likely a low estimate. Tens of thousands of people have gone missing and more than a thousand unidentified bodies have been discovered in mass-graves throughout the country. Large amounts of marijuana continue to cross the border from Mexico, but that’s dropped as U.S. states started legalizing recreational and medical marijuana, according to a Union-Tribune report. Experts told the Union-Tribune that the decrease in illegal marijuana coming into the United States could be linked to increased access to legal marijuana here. 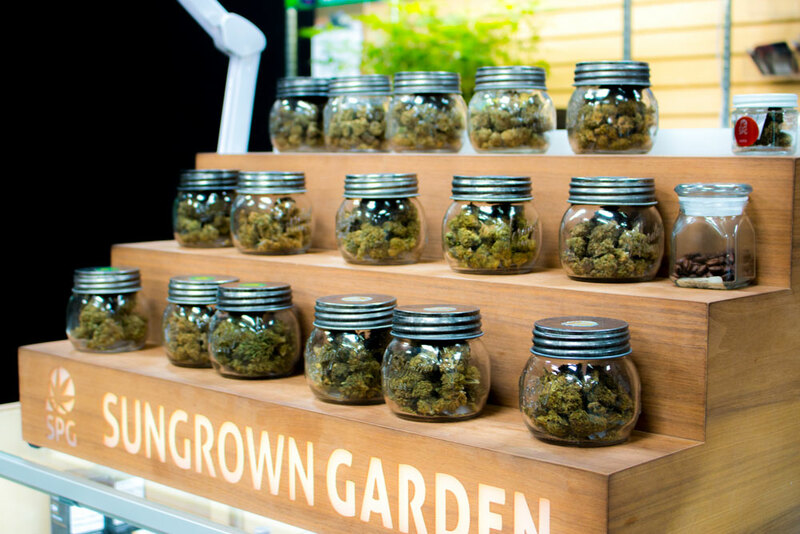 Binational cannabis advocates are taking advantage of California’s cannabis moment. Antonio Ley worked on the 2016 Proposition 64 campaign and lives in Tijuana. Now he’s organizing tours to pick people up at the border and take them to dispensaries and cultivation sites in San Diego County. Felipe Saucedo, part a Mexican nonprofit La Fundacion Loto Rojo that advocates for medical cannabis, said Tijuana activists benefit from cannabis exposure that comes from sharing a border with California. This is a different situation that in other provinces in Mexico, further from the border, he said. Mexicans with certified doctors’ prescriptions and special permits from COFEPRIS, Mexico’s Health Department, can obtain and use CBD-only products and products with less than one percent THC. But Saucedo said these limits leave many patients in need of medical cannabis with a higher THC dosage without access. Marijuana usage has been increasing in Baja California — and throughout Mexico — revealing that, indeed, attitudes about cannabis may be changing in the country. According to a 2016-2017 national drug survey, incidences of marijuana use by people from ages 12 to 65 increased from 7.5 percent in 2008 to 12.8 percent in 2016 in Baja California. Incidents of using cocaine or other stimulants increased by less than one percent during the same time frame. Nationally, the survey reports 2.6 million more cumulative incidences of marijuana consumption between 2011 and 2016, which again, is a far larger increase than in the consumption of other drugs. Dr. Raul Palacios, director of the Centro de Integración Juvenil Soler, one of Tijuana’s public rehabilitation centers, said he’s seen an increase in marijuana usage in the clinic’s patients. But he hasn’t seen an uptick in patients who say they use California marijuana or that the cost of their marijuana has increased significantly — an indicator of U.S. cannabis. What concerns him is that adolescents are changing their negative perceptions of weed, which he attributes to changes in the United States. “In Mexico, we’ve begun to see in national drug use surveys a decrease in the perception of risks and of the ways in which marijuana does damage,” he said. Baja California’s Secretary of Public Safety has also expressed concern in that marijuana from California would be smuggled into the Mexican state. In Mexico, changes in laws involving cannabis can only happen federally. States can’t pass marijuana legalization initiatives. Federal efforts in Mexico are moving slowly. In 2015, the Mexican Supreme Court ruled in favor of eight-year-old Graciela Elizalde, who suffers from severe epilepsy. Her parents turned to a cannabis-derived oil to help alleviate her seizures. The girl’s father, Raul Elizalde, with the help of attorneys and a pro-marijuana politician Fernando Belaunzarán, eventually won the family permission to import CBD oil. Raul Elizalde said he went to U.S. cannabis companies to find a THC-free product he could import. One company based in San Diego — Medical Marijuana, Inc. — responded, soon becoming the only company allowed to export CBD products to Mexico. Stuart Titus, CEO of the company, said it is currently providing medicine for 300 families in Mexico. The company started a Mexican subsidiary in 2016, HempMeds Mexico, headed by Raul Elizalde, which lobbies politicians and the Mexican public for increased access to medical marijuana products. With broader medical marijuana regulations in the works, they are poised to offer new products and potentially even manufacture some in Mexico. Last July, the Mexican government passed a medical marijuana law to allow imports of products with up to 1 percent THC for medicinal purposes. It also opened the door to expand research on medical benefits of marijuana. Belaunzarán, a former Mexican Congressman who pushed marijuana legalization, said regulations to implement the medical legislation have been delayed due to debates over things like whether cultivation for medical marijuana will be allowed domestically. Former Mexican President Vicente Fox has become a cannabis advocate, too. In January, Mexico’s tourism chief proposed legalizing marijuana in Mexican states where Americans frequent, including Los Cabos in Baja California Sur. Baja California and Quintana Roo — home to Cancun — have been hard hit by surges in violence in the country in the past year. But legalizing marijuana in Mexico may be more complicated than it was in California. For instance, in 2009 Mexico decriminalized the possession of up to five grams of marijuana, as well as small, “personal use” amounts of cocaine, heroin, and other drugs, in an effort to treat addiction as a public health issue rather than a criminal offense. But the law still lets police take people in for questioning if they have any marijuana, to ensure they aren’t involved in criminal activity, Belaunzarán said. “In practice, this results in extortion,” he said. Ley said he’s had such an experience in Tijuana. Police caught him with under the permitted amount of marijuana, but put him in their patrol car and took him to an ATM, he said. Both the Tijuana and Baja California Secretary of Public Safety offices did not respond to requests for comment.